Judy your staff is to be commended for there exceptional services. Sher and I had a fantastic time! The reviews on trip advisor “day tours” Panama were on target; your operation is a “five star” service and I did not mind paying a little more for that type of quality service. With Judy’s bubbly personality, her enjoyment of meeting people from around the world, and the increase in tourism in Panama, it was natural for her to establish a travel service, Easy Travel Panama. Having been born and raised in Panama, she knows the country well, and she is fluent in both Spanish and English. Judy has created a special niche in the tourist industry. Instead of the standard tours that big tour companies promote, Judy does individual tours at a reasonable cost to fit the needs and schedules of her clients. Among the two million people visiting Panama are many North Americans, Europeans, and people from all over the world seeking to invest, work, and/or live in a foreign country, but are unsure of exactly where they want to move. However, after their research they know it will be Panama, for a number of reasons. Judy is not in the real estate business, but she can answer all the questions of those who are not familiar with our beautiful country. Once she is in touch with the people, she will personalize a tour around various areas that they may be interested in previewing. 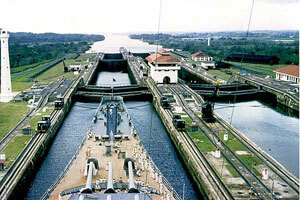 They can stop and roam around, have lunch, take in the site-seeing, and get a feel for the various areas of Panama. All of that happens while she is giving the tour and answering all their questions. She is not like other tour companies who wish to get a “referral fee” if the visitor purchases a property. She not only personalizes her tour around the needs of her clients, but she does not charge the high fees that most tour companies charge. For this reason, we at Origen Real Estate have developed a specialized plan to assist potential buyers deciding what areas they like, and where they eventually will purchase a primary home, second home, rental home, land, or commercial property. Clients first meet with Terry and Bob of Origen Real Estate to finalize the areas, the particular developments, or properties they will preview. After that Judy organizes the tour and provides the usual great service for our clients. We have gotten nothing but rave reviews about how Judy makes a tour fun and yet very informative. Terry Bradford-Gugel and Bob Gugel, Origen Real Estate Consultants, Inc. I just finished writing a review for Easy Travel Panama on Trip Advisor (hopefully it will be up by tomorrow as it needs to go through an approval process). I wanted to send you a personal “thank you” for your amazing service and personal touch on our Saturday tour. It’s rare to find someone so passionate and kind (not just in the travel industry, but in all walks of life). Your customer service was unmatched. I have traveled the globe and have never had such wonderful service in any of my previous tours. I can’t begin to express my thanks. Making a special stop at the pharmacy because Martha was sick was a really nice touch. Also, our trip to Malambo was incredibly special. All the spots you showed us were beautiful. Thank you again for such a wonderful time. We will never forget our personalized tour. Fantastic time visiting Panama on a long layover. Judy customized the tour for me to fit special requests and timing which also included a pick up and drop off at the airport. What separates her from other tour companies is her personable approach with the education and experience to handle anything you throw at her. Easy Travel Panama should be in the TOP 10 things to do in Panama if you visit. Thanks again for the Fantastic time! 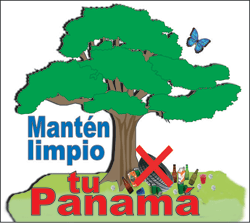 We made our first trip to Panama in April 2011 to explore the possibility of relocating to Panama as our retirement destination. Because this was our first trip to Panama, we felt we needed someone we could both trust to provide advice about moving to and living in Panama and also someone to be our driver and guide. After finding Judy Tovar’s web site on-line (easytravel@cwpanama.net) and reading all the wonderful testimonies from many of her other customers, I decided to try Judy’s services. My husband and I were highly delighted with the responsive and reliable service we received from Judy and Daniel Gonzales who was the guide and driver she assigned to support our trip. In addition to being knowledgeable guides for touring and visiting Panama, Judy and Daniel specialize in assisting those who are considering relocating Panama. For all those who are thinking about moving to Panama, I highly recommend Easy Travel Panama drive you on the “Sunday afternoon city/relocation tour” which lasted about 4-5 hours and took us though all the major shopping, medical, and neighborhoods in Panama City. During the several other driving tours with Easy Travel Panama guide constantly provided amazing historical details which made our visit even more enjoyable and meaningful. We will be reaching out to Judy and Easy Travel Panama when we next visit Panama. We highly recommend you do so as well—You will not be disappointed. Again—many thanks! Please say hello to Daniel for us. Thank You for the Great Tours, Judy! Hi Judy, We’ve been back from Panama for a few weeks now, and I just wanted to thank you for the great tours you gave our group (the Rob Ralston group). We couldn’t have been happier with your services, and I felt like we had all made a personal friend in you. I just finished giving you a couple of recommendations on Trip Advisor. Ross and I feel like you’re the best tour guide we’ve ever had! Thank you so very much, the tour was excellent. Your guide was the best guide we could we could have had. My wife was so impressed with his knowledge and professionalism he is truly a valuable set in your organization. We will definitely recommend your tour service to our friends and in any reviews as the best. again thank you very much. I wanted to let you know what a wonderful day we had yesterday. Your guide was excellent in every way- his knowledge of the country, his friendliness, and his ability to find animals hanging out in the trees! He spotted both monkeys and sloths while in Gamboa and it was a real treat. We really enjoyed our experience in Panama and hope to someday return. We would recommend your travel agency and his services anytime!Thanks again, all your help was most appreciated. I wanted to send you a note of thanks! I very much enjoyed my tour. I saw tons, your guide was very informative, fun, loved to talk and knew his history very well! I have been on tours in plenty of countries, and this is by far one of the best. Thank you Thank you Thank You!!! I wanted to let you know what a wonderful experience we had for our layover in Panama. Our guide was prompt in picking us up and gave us a wonderful tour, carefully considering the time we needed to be back to the airport and traffic. He was very full of historic information which my husband loved. An intelligent guide and careful driver we so much appreciated his effort in making sure we had a great time and got to see the Panama Canal and Old Town. Thanks again for a wonderful time ! So far we are extremely pleased with your services. The plan was excellent and your guide has given us a very warm, knowledgeable and gracious introduction to Panama. 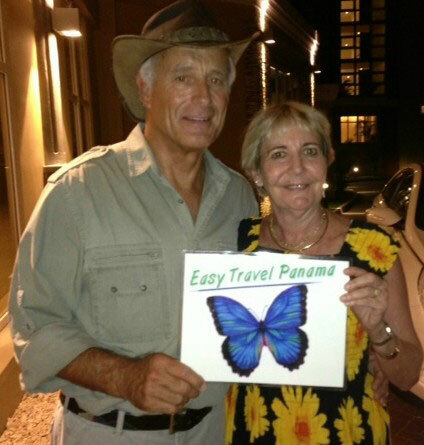 To say we are pleased with Easy Travel Panama services is not nearly enough praise. We have enjoyed his company and his knowledgeable remarks about the many neighborhoods (urbanizations) of Panama City and the surrounding area. We could not have asked for a better guide or a more helpful individual. He is indeed a true gentlemen, as well as a wonderful guide. I am so glad that I found your agency on the internet and you can be sure that I will be writing strong recommendations for you and your agency on the several travel websites. Of course, we look forward to your transportation services tomorrow, Friday and Saturday, but these last two days have been just what we wanted and needed for this first trip to Panama City. Thanks so much. On behalf of my OCS classmates, I want to thank you for taking such good care of us.Your knowledge and engaging personality greatly enhanced our 2 days together.I’m happy to recommend your services to others looking for the Royal Treatment.Best wishes and Happy Easter. cómo estás? Aquí de regreso en Uruguay con la familia. Quería agradecerte por las giras y comentarte que quedamos super contentos con el servicio ofrecido. Tu equipo es sensacional, muy preparados y atentos, nos permitieron conocer tu país de una manera increíble, se preocupaban por mostrarnos todo lo máximo posible, Daniel super preparado e informado y con Claudio vimos animales que nunca creí podría encontrar en plena ciudad de Panamá!! muchas gracias por hacer nuestra estadía tan agradable, y desde ya te estaré contactando cuando vuelva a tu país, que espero sea muy pronto!! Dear Judy: I want to thank you for all your professionalism and detail regarding our tour in Panama City. I felt your guide was a perfect guide. Extremely knowledgeable about the history, scenic routes and local trivia. He was wonderful. I am hoping to plan a trip to Panama with my family. I look forward to using your services again. Thank you so very much. I just want to say thanks for all the great work you and your folks are doing with our guests. All we hear is rave reviews and endless compliments about their experiences with you. Thank you! She and her family had a great time touring with you and were very appreciative of the care you showed them. I can’t begin to tell you how MUCH we enjoyed our 3 days in Panama City. We’re convinced that YOU made it all possible with the kindness and friendship you showed us. We felt like we were “touring” with an old friend and it made all of the difference in the world. So…..thank you so much for the wonderful service you provided. We hope to stay in touch and when we return to Panama, we’ll be sure to contact you. I’d love to have your home mailing address….I’ve found some additional photos of you and us that I’d like to send you….they’re NOT digital so I’d have to mail you copies. When I was planning my trip to Panama for the very first time I was a bit apprehensive. A business associate recommended Easy Travel to me, so I contacted them. From my very first contact with Judy Tovar I knew that everything would be okay. I was completely relaxed and my mind was at ease. I have been to Panama three more times since then and I still use Easy Travel and always will. It’s like coming home to an old friend every time I visit. Judy Tovar and her staff are absolutely wonderful. If Judy can’t meet you she will make sure that one of her qualified staff is there waiting for you, which is great. Its kind a like Christmas (or Hanukah if you are Jewish) where you know that a gift is there waiting for you and even though you don’t know what’s in the gift you know it’s going to be a nice surprise. Judy and her staff are knowledgeable, warm, and very anxious to show you their beautiful country. With Judy Tovar and Easy Travel you waste neither time nor money because she will take you to the very best spots, and recommend the best restaurants and shopping that there is. Easy Travel will make the difference between a nice vacation and a fantastic vacation. I am so sorry, I have for the longest time wanted to write and express our deepest appreciation for the wonderful job you did in executing our Tour. We were truly blessed with your company and please forgive me; I have forgotten our tour guides name, but also with her. The travel vehicle was exceptional and we were given the royal treatment. The restaurant that was chosen was absolutely incredible; we all had a wonderful time. I want to shout from the peaks of mountains on the first class job your company and the individuals involved did. I cannot praise you enough. We have a memory,that will never be erased. I have been to Panama many times and used many guides. But this time my sister was coming with me for her first trip, and we needed someone special – and found her with Judy. Our itinerary was packed, and Judy made it seem relaxed while seeing everything! Much to my surprise my sister actually wants to return to Panama (but only if Judy is available). The next week, I had a business friend who was also visiting Panama for the first time to investigate investment possibilities. Judy shifted gears perfectly and showed him what he wanted to see. Well, we made it back home with no problem. Just wanted to tell you that without you our trip to Panama would have not been the same. You helped us see your country through your eyes and not just through a guide book. You made everything “fun”!! Thank you so very much. We will definitely be back and will keep in touch. (you too). All the best —-give Nitey a big hug from me! Brady Keresey, Panamerican Investment Services, Ltd.
We’re looking at the world and our life here in the US with different eyes now. It’s nice to have a feeling and remembrance of such a beautiful place to compare with. Hans and I are back here in the US and are missing Panama already! Just want to thank you for your gracious hospitality and flexibility in accommodating our needs, which I GREATLY appreciated! We will be back periodically to check on the progress of our property, so I’m sure we will be in touch. Again, many thanks for helping us out! Deborah and Hans. Judy has been “right on” with transportation requirements, tours and general assistance in Panama City for both me and my clients. Perfect English, enthusiasm and knows the city like the back of her hand. You better be on time because she will be, and I totally rely on her. You are a wonderful person, and I am grateful. Life is full of impasses and our quality of life always depends on coping skills. This trip presented multiple issues, and you and your staff stepped up and helped us make lemonade out of lemons. Roberto calmly helped s change accommodations smoothly and provided a wonderful day in the city; I think Coconut lodge was relieved to see us go. After the mishap with Ancon, you came to the rescue and resolved other dilemmas. We enjoyed the handicraft market (I picked up the beautiful dresses for all my grand children), ate at Pancos, and went to the Metropolitan Park, all as you suggested. Would you believe we even saw a sloth and tarantula at the Park? The next day with Roberto was fabulous; it was so interesting to learn about the Embera way of life. Some things happen for a reason. With massive appreciation and wishing the best in 2015.